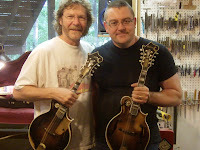 'Does it seem odd that Nashville’s most celebrated mandolin builder is a banjo playing Brit?' asks John Lawless in Bluegrass Today. 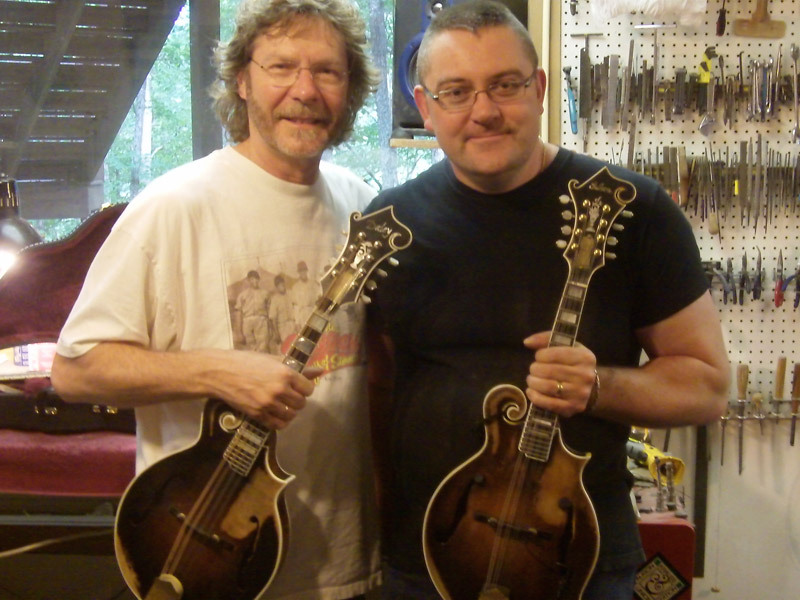 He is, of course, referring to Sim Daley (seen, right, with Sam Bush) of the Daley instrument company, who plays banjo with the Tina Adair Band. Sim is about to add guitars to the range of Daley instruments, and is enlisting the help of luthier Adam Chowning. Read the full story here.